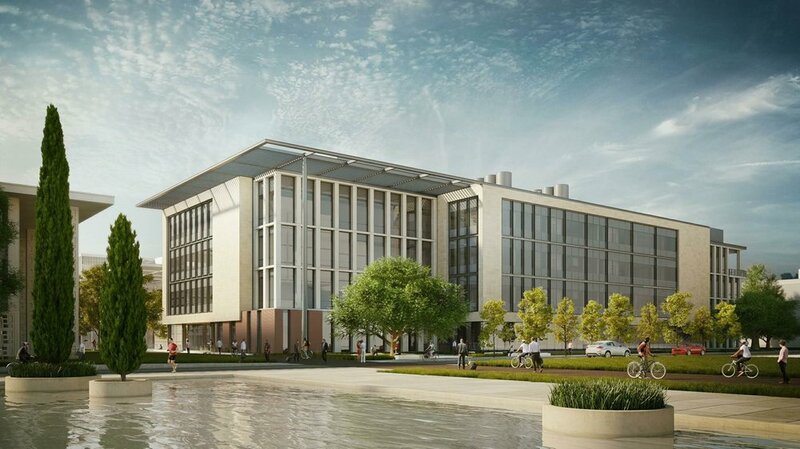 The BioMedical Innovations Building (BMI) will help the School of Medicine to translate medical research discoveries into treatments and cures. The school’s long range plan calls for the demolition of the four aging E.D. Stone Complex Buildings with BMI being the replacement for the first building to be demolished. The new building is approximately 215,500 sf with four above-grade floors of research labs and light-filled gathering places, and a lower basement level with a core lab facility. A connective tunnel to other nearby research facilities is part of the proposed design. Based on the result of the energy modeling, we anticipate that this building will be the most energy efficient laboratory building on campus upon late 2019 completion. The project is delivered by a Design-Assist methodology with Gayner Engineers being the MEP Engineer-of-Record. Document production was conducted by Revit in a full BIM environment.